Looking for the perfect crossbody hobo bag to keep all your stuff in? We've got it right here! This handy hobo bag has pockets for your cell phone, keys, wallet, chapstick and anything else you need handy right on the front of the bag. The main part of the bag also has a zipper closure so if you drop it none of your stuff spills out. 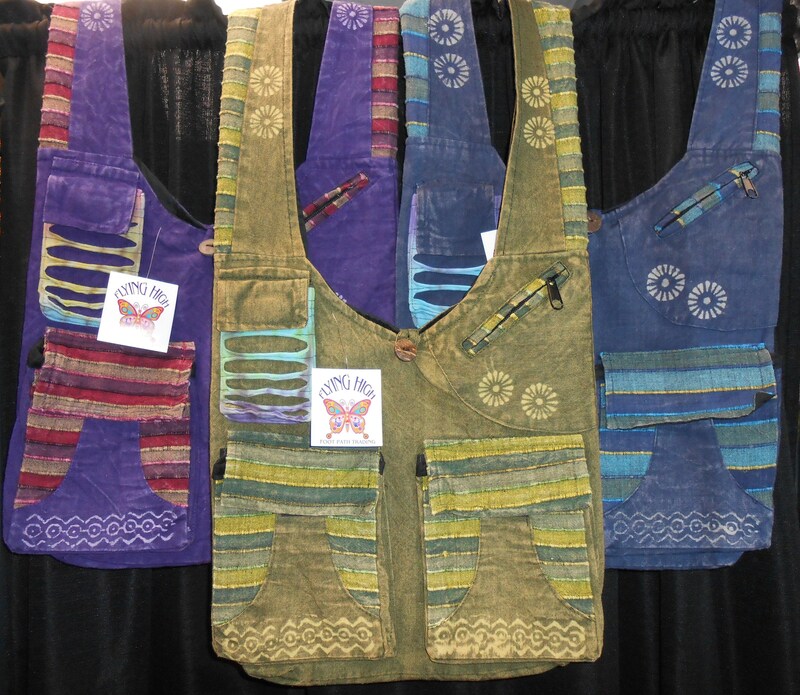 These bags are made by Flying High Foot Path Trading Co. The body of the bag is approximately 15" wide x 13" deep.